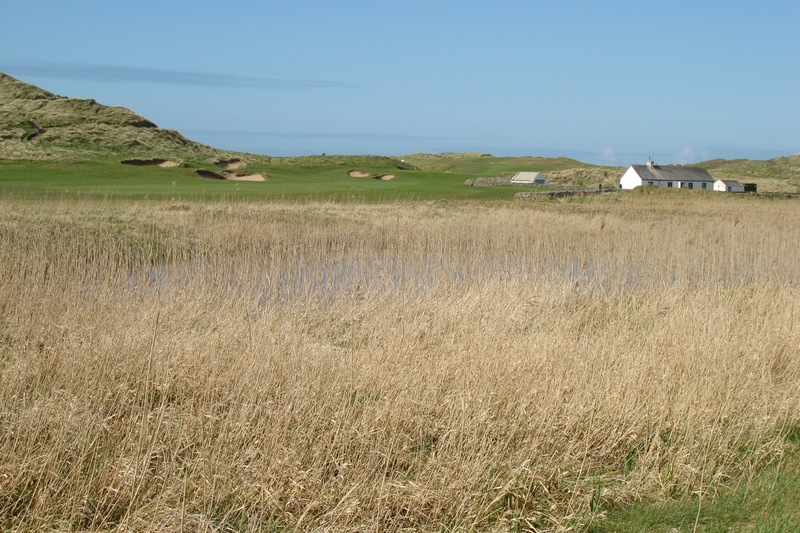 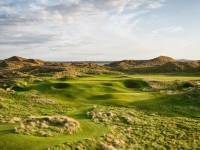 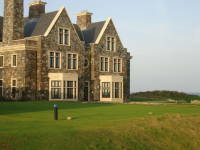 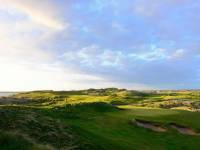 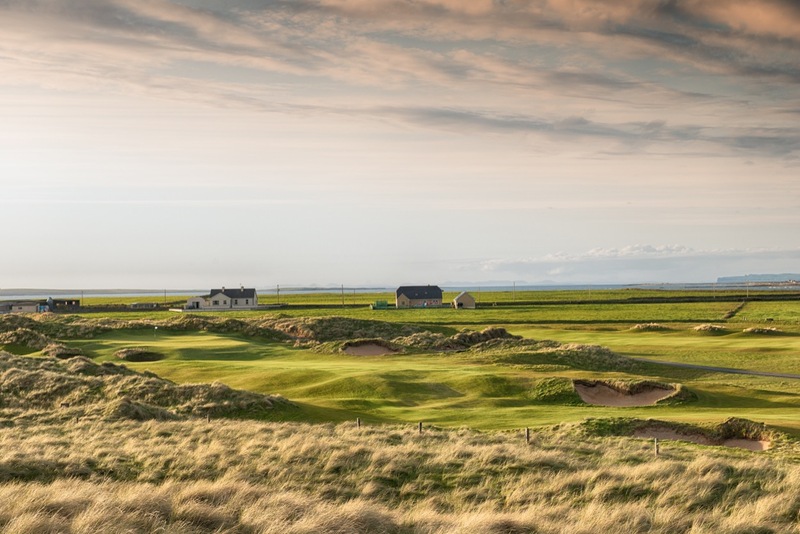 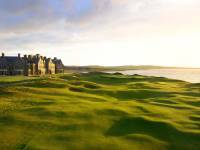 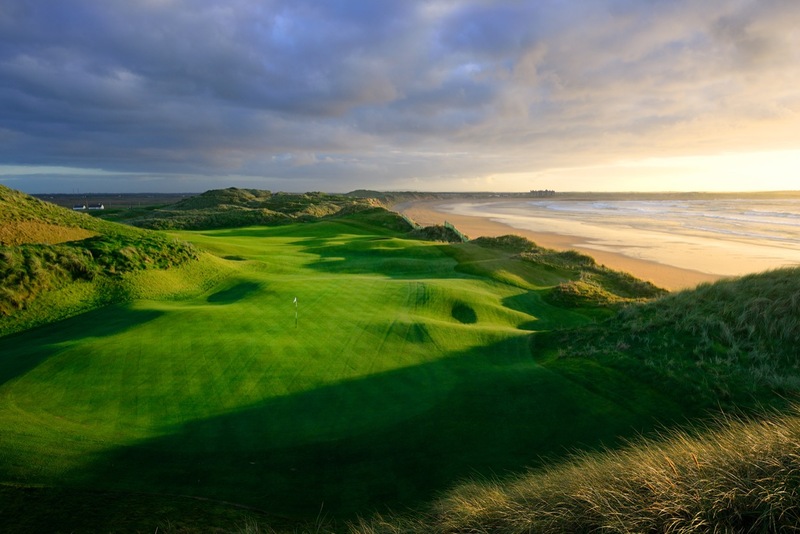 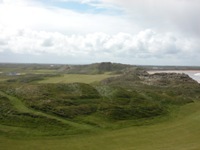 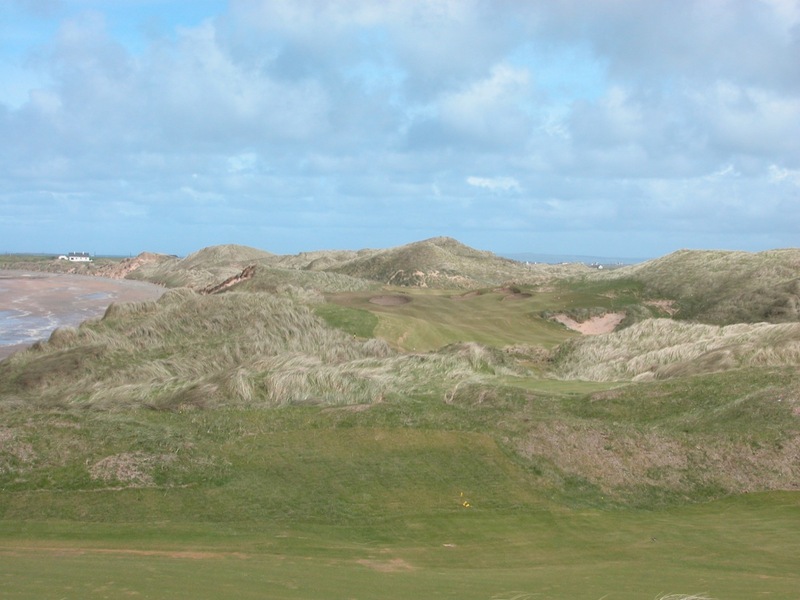 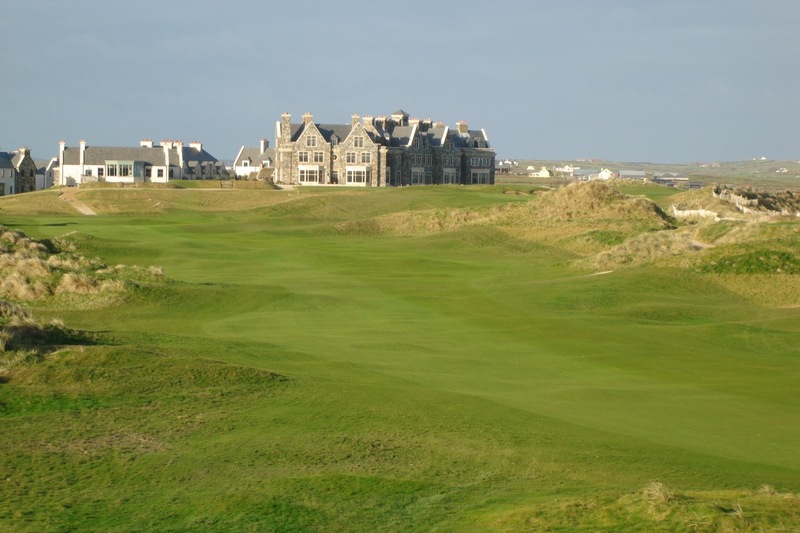 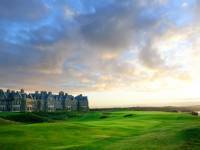 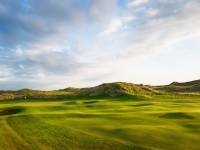 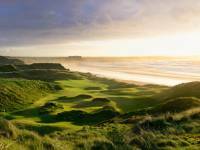 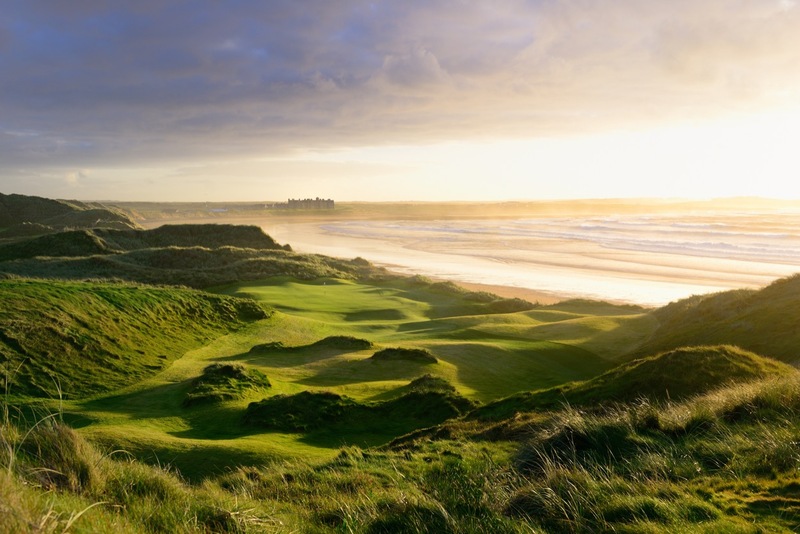 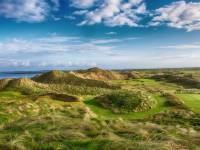 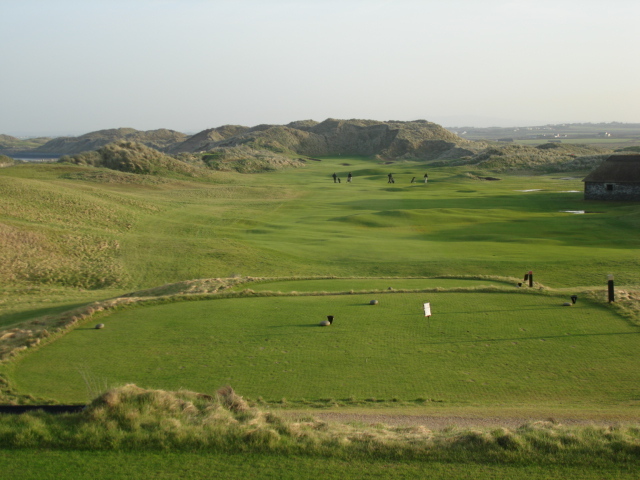 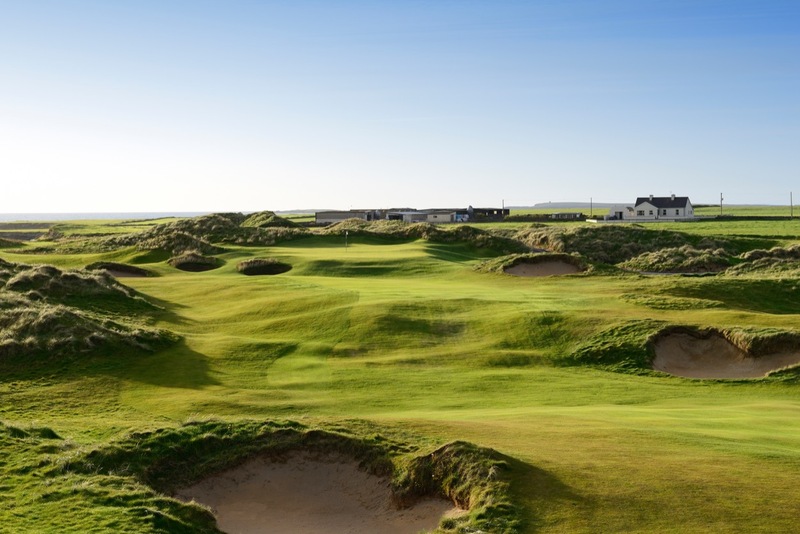 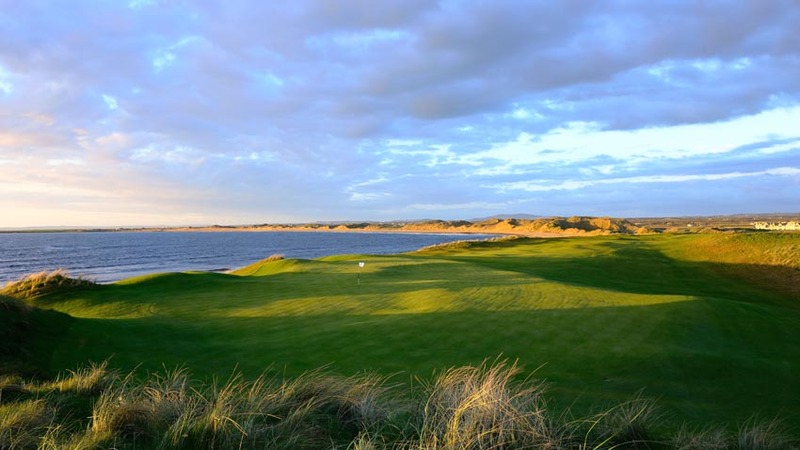 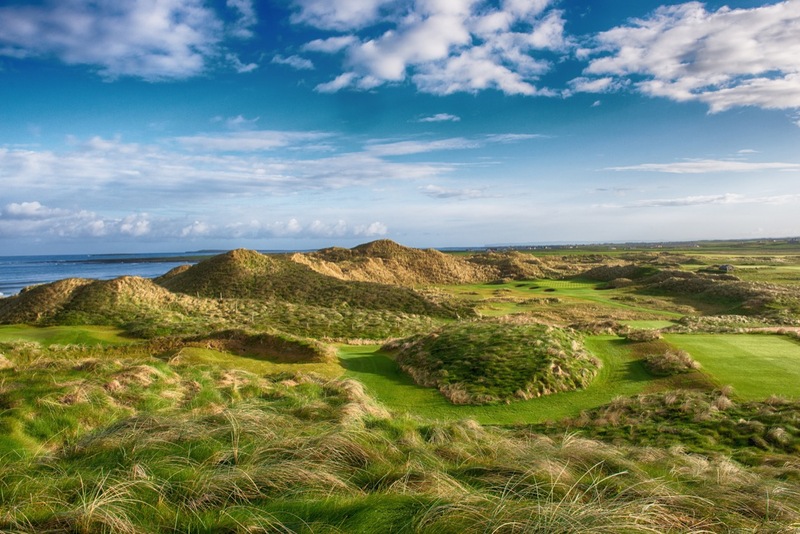 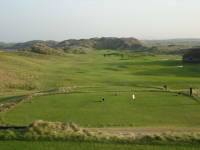 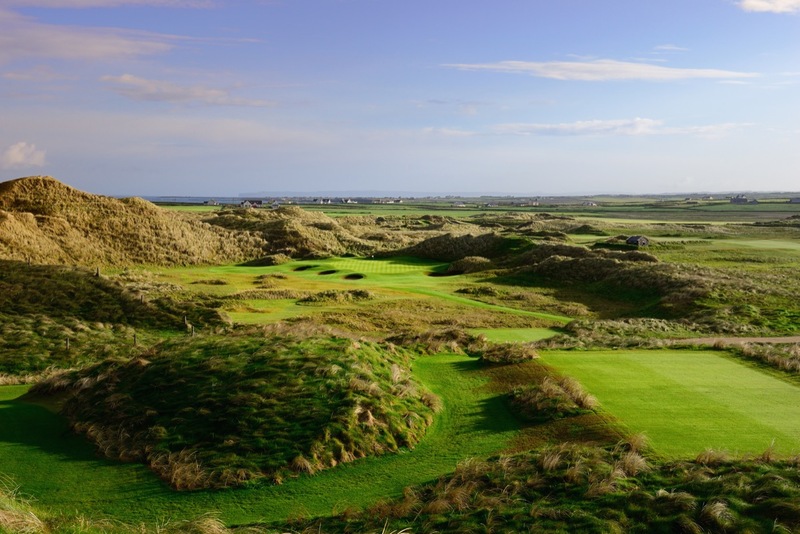 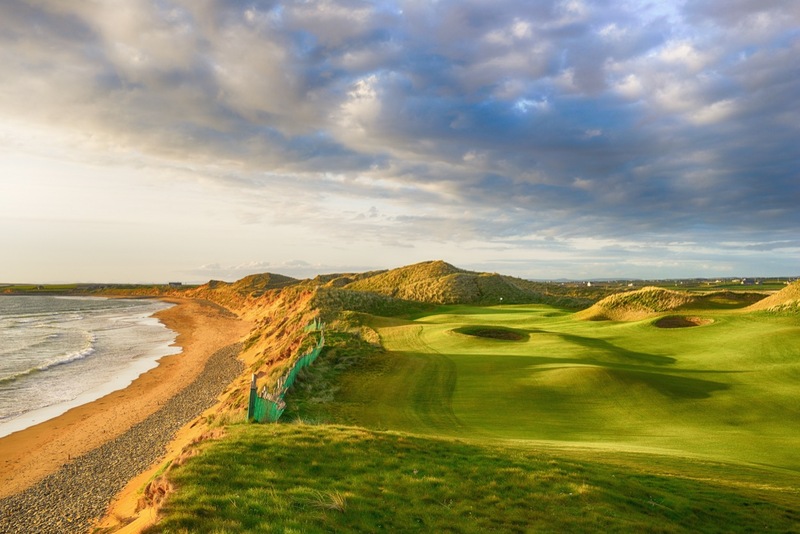 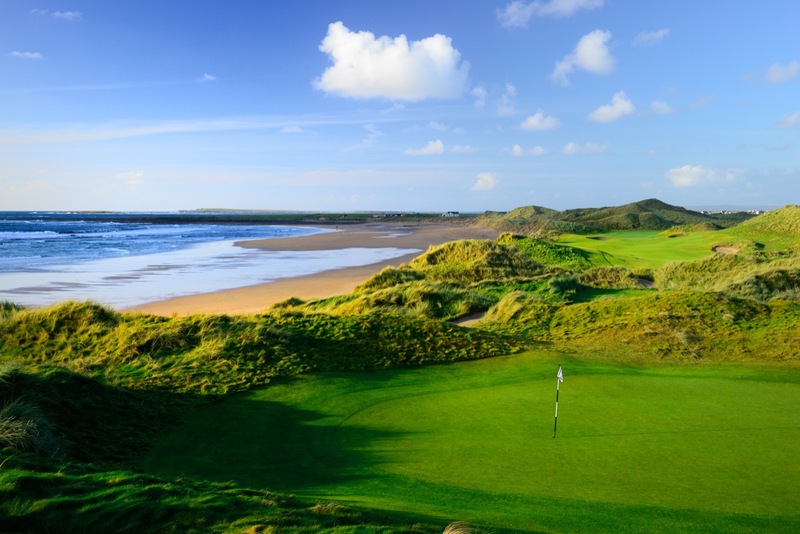 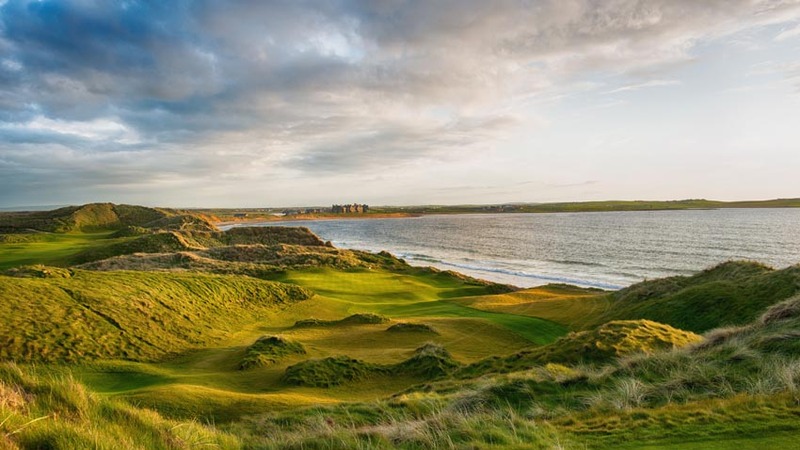 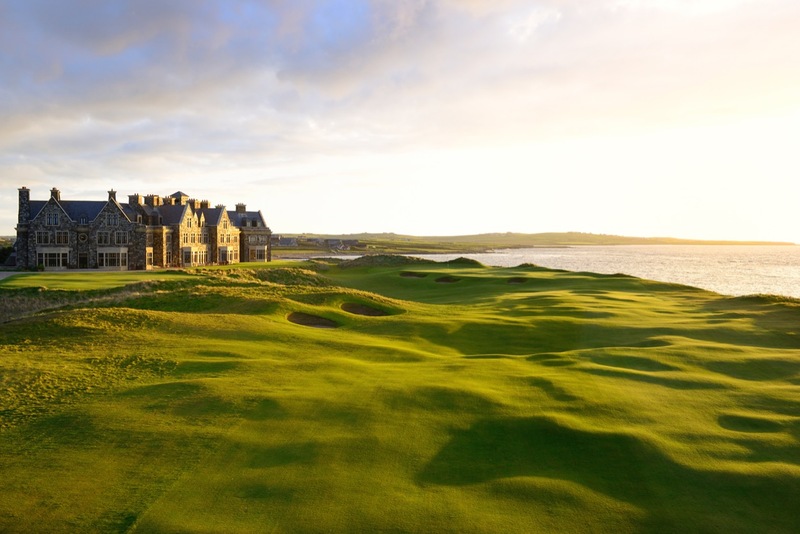 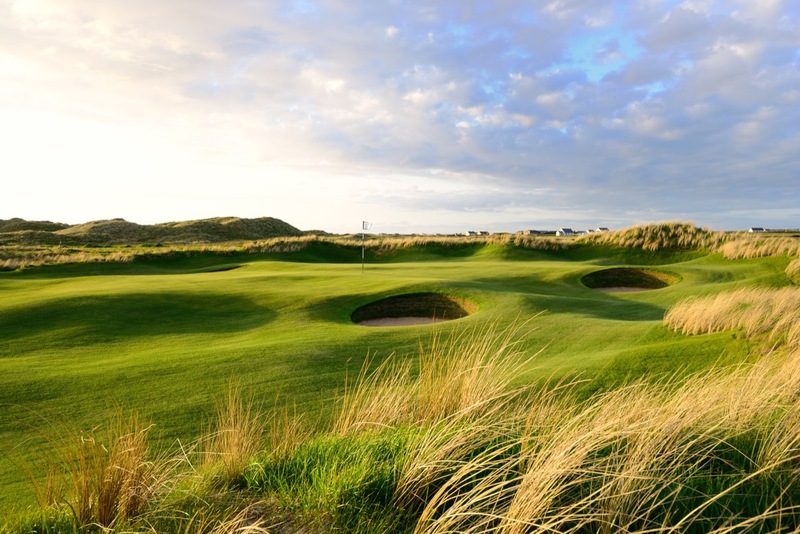 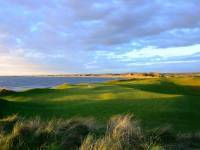 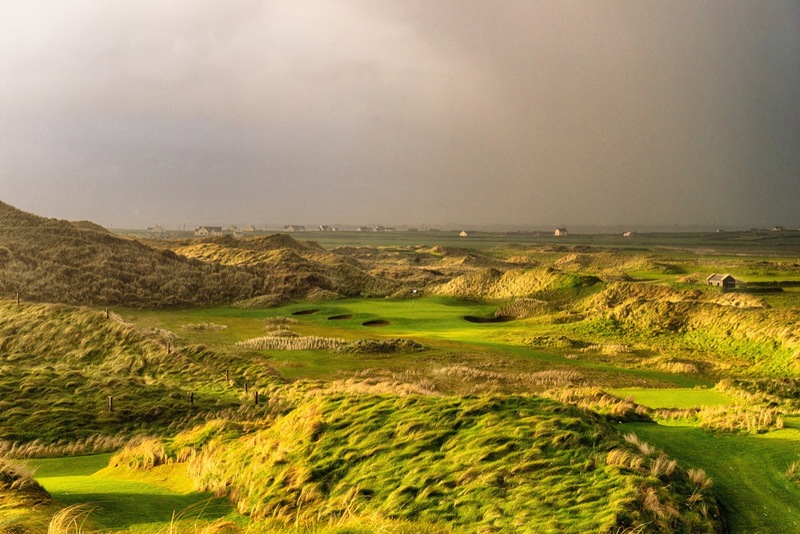 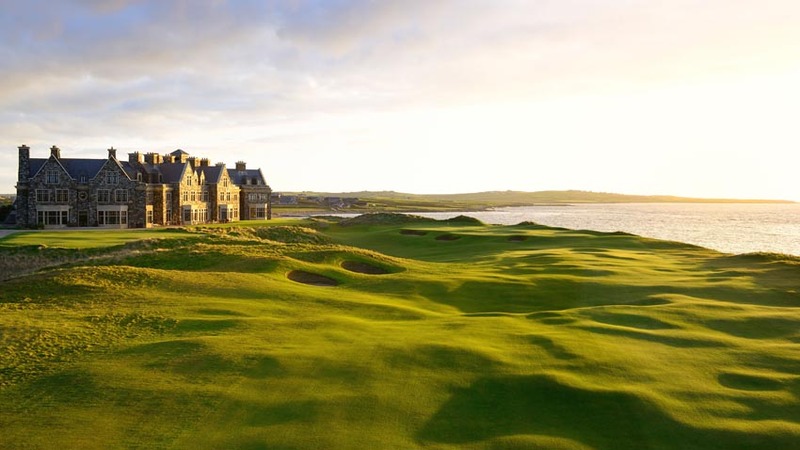 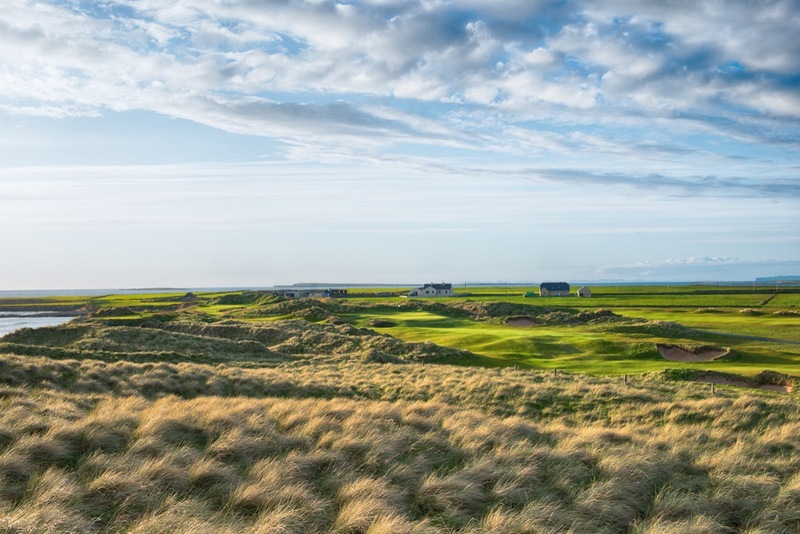 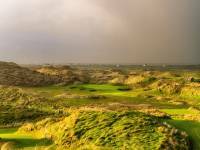 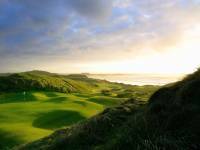 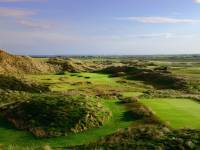 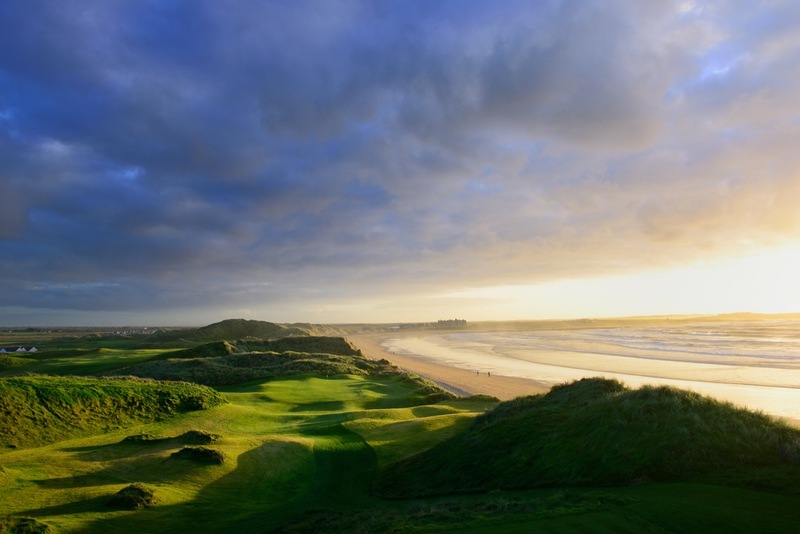 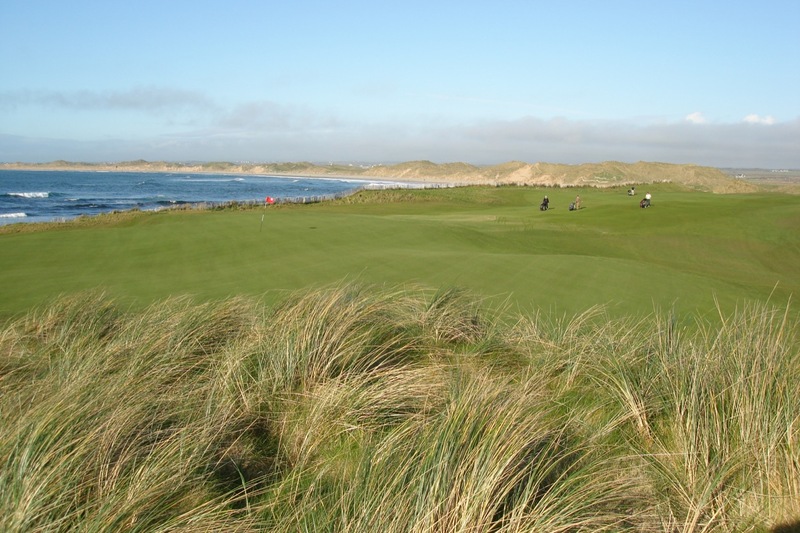 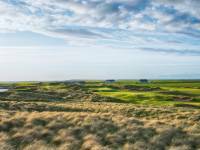 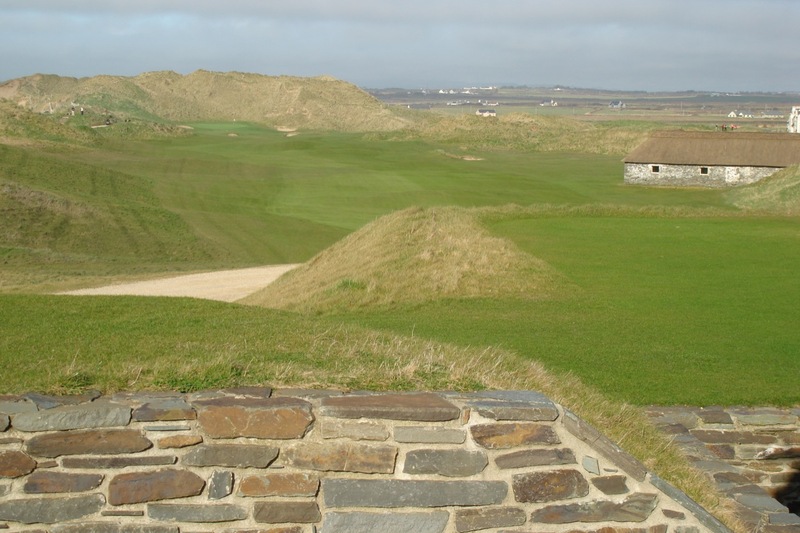 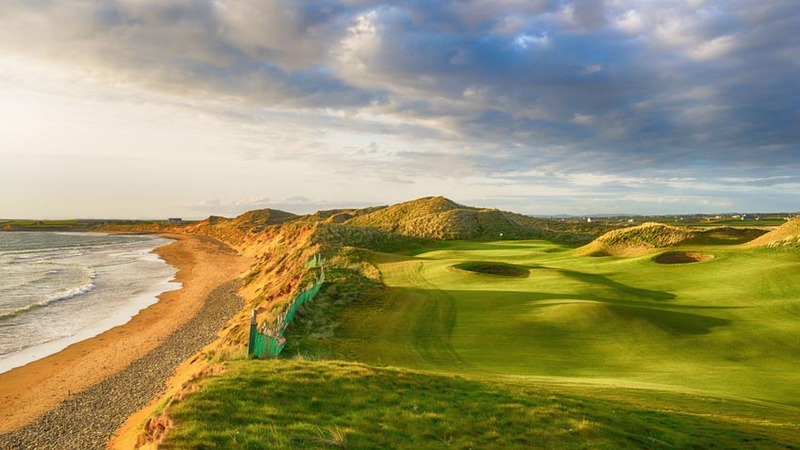 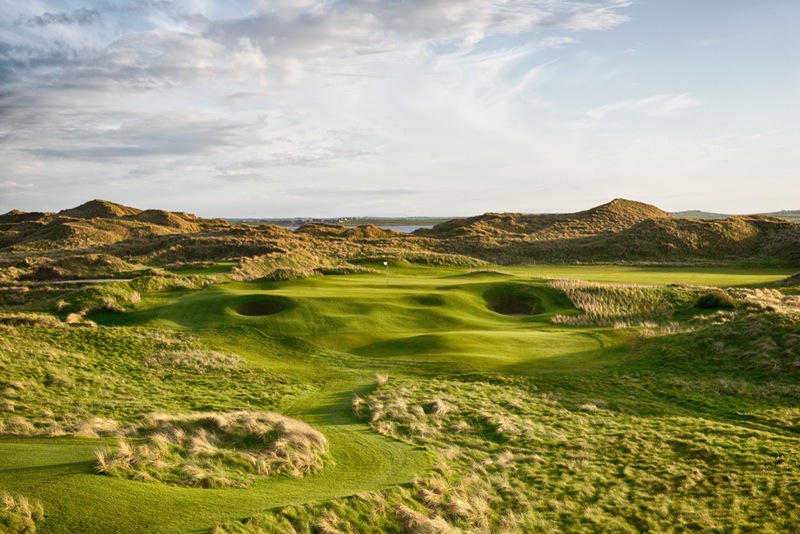 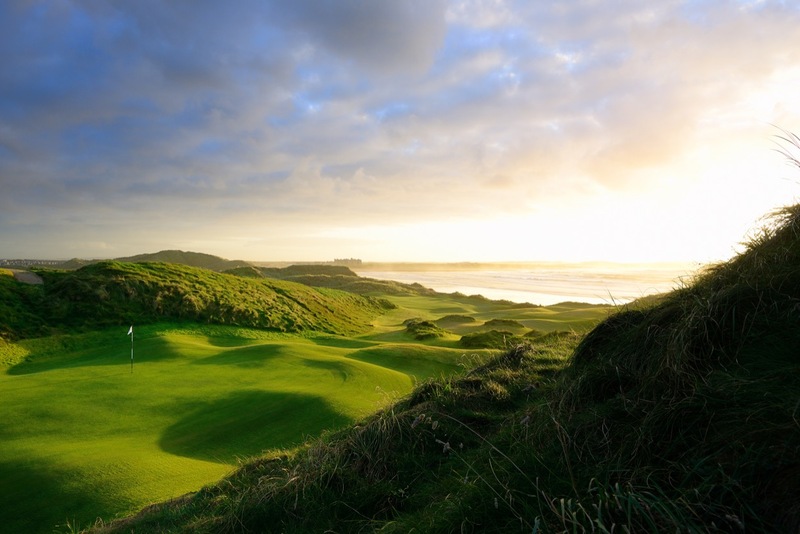 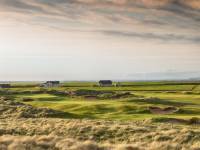 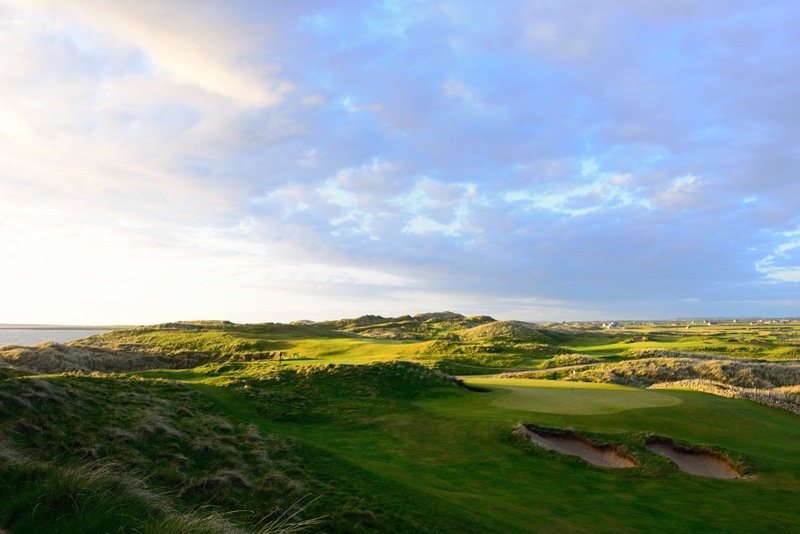 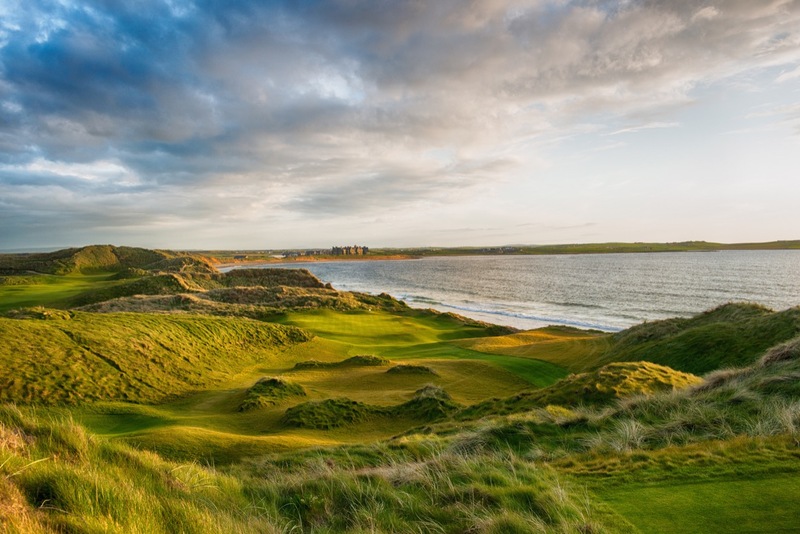 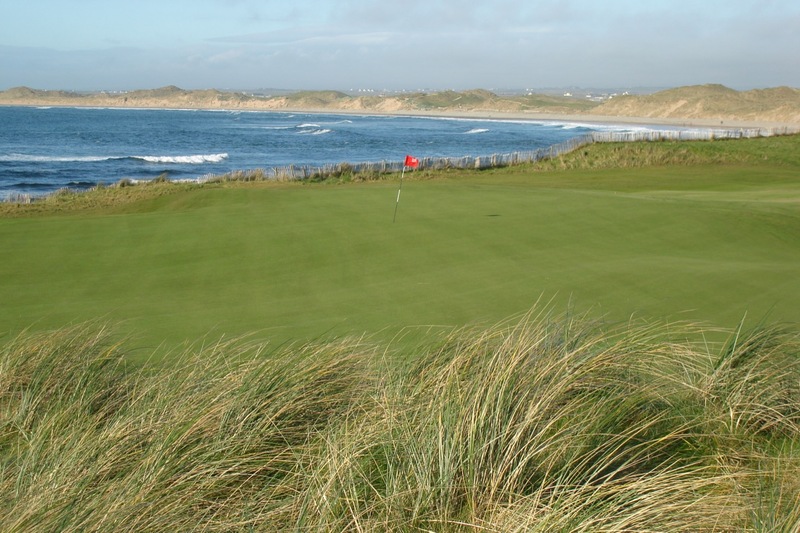 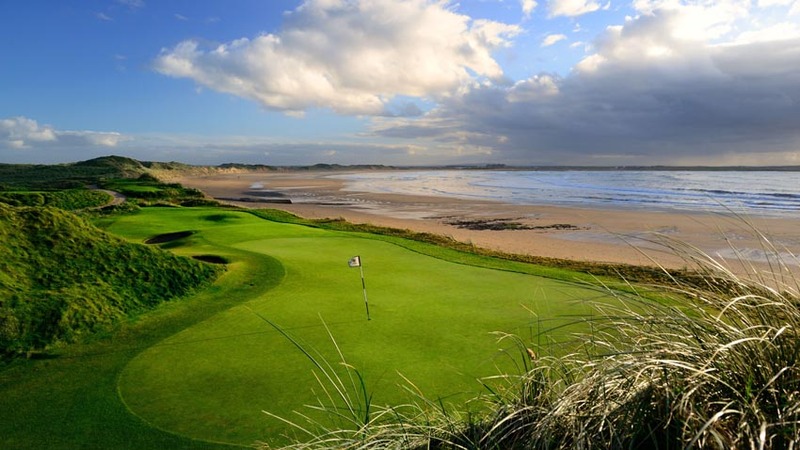 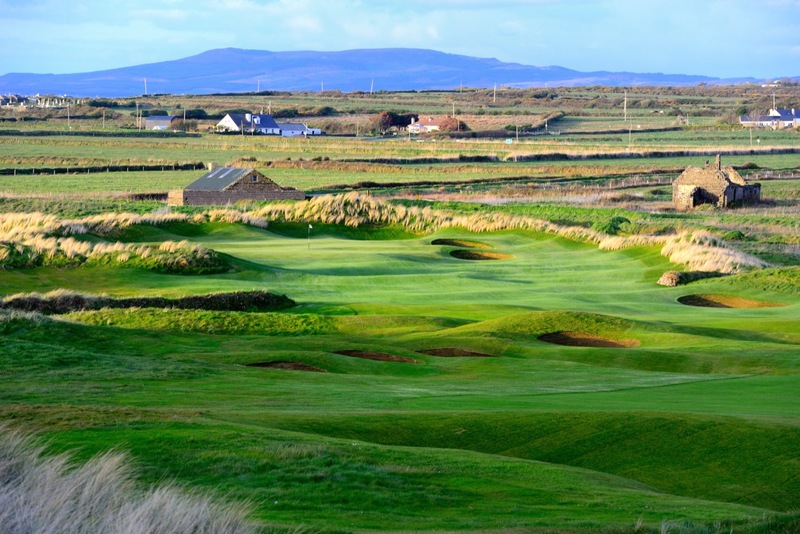 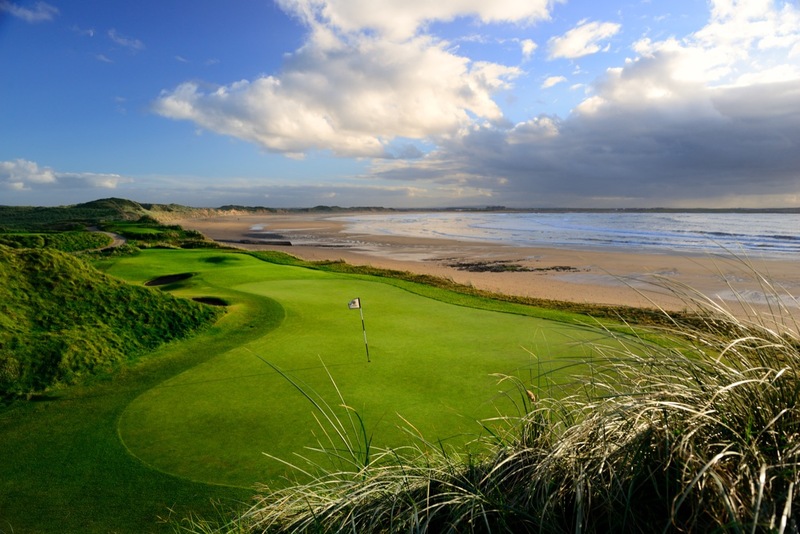 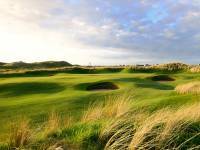 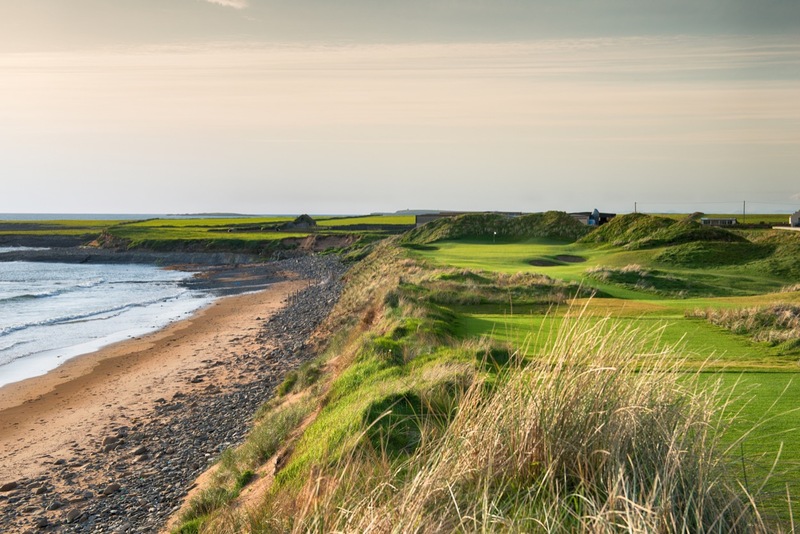 Trump International Hotel and Golf Links in Doonbeg, County Clare, Ireland, occupies such an incredible piece of property that original designer Greg Norman couldn’t believe an opportunity to build a links course of this caliber still existed! 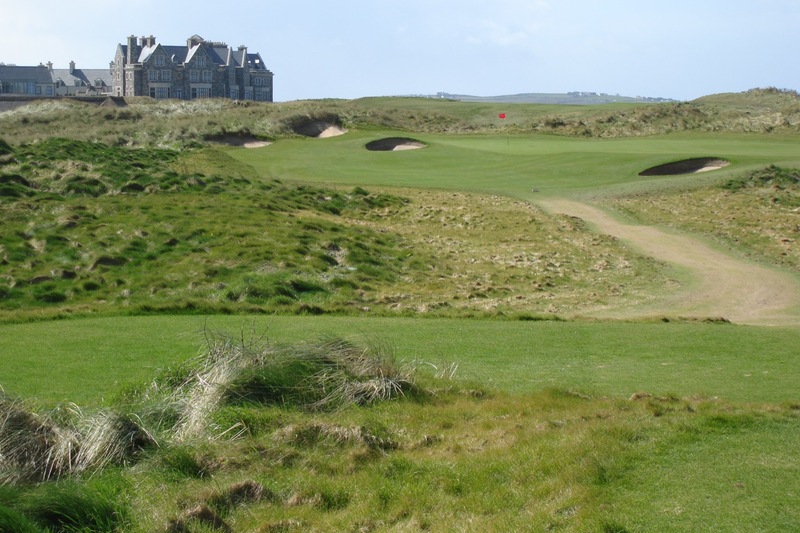 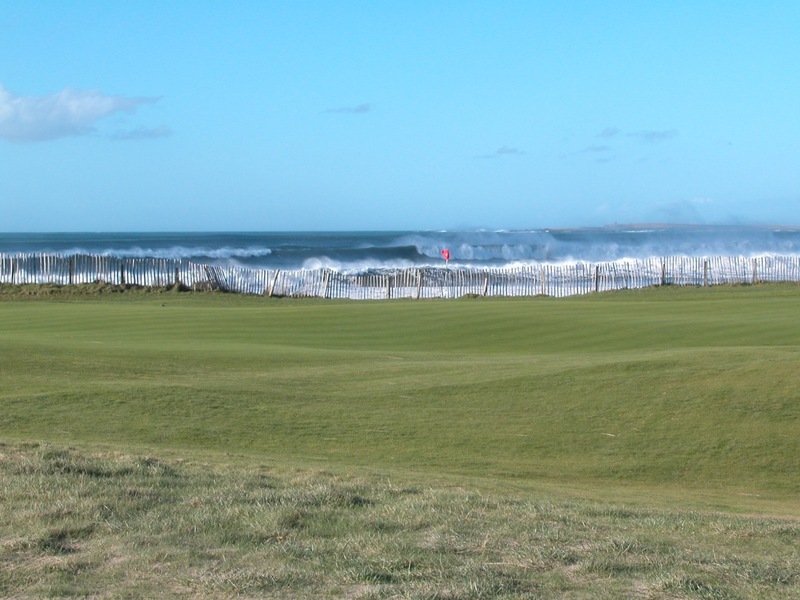 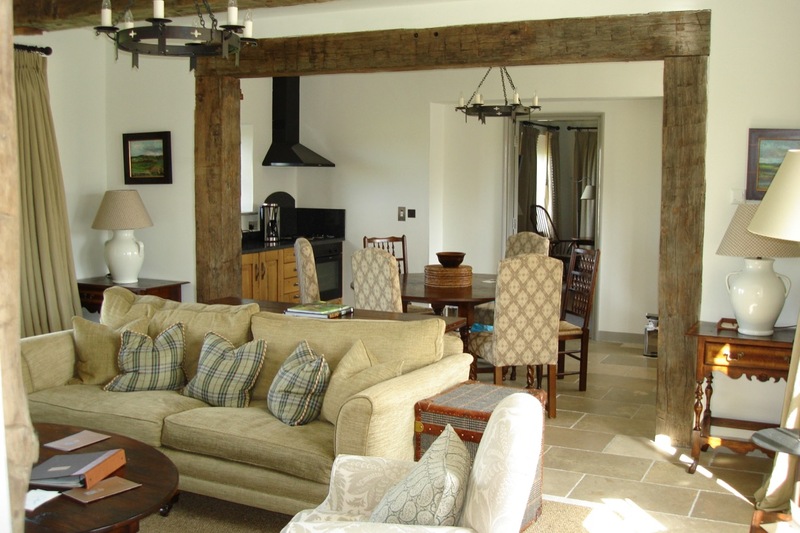 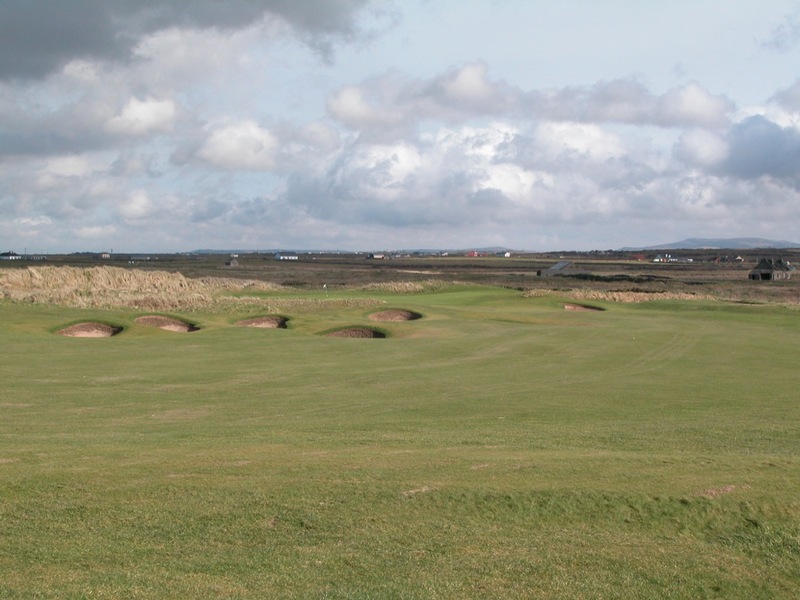 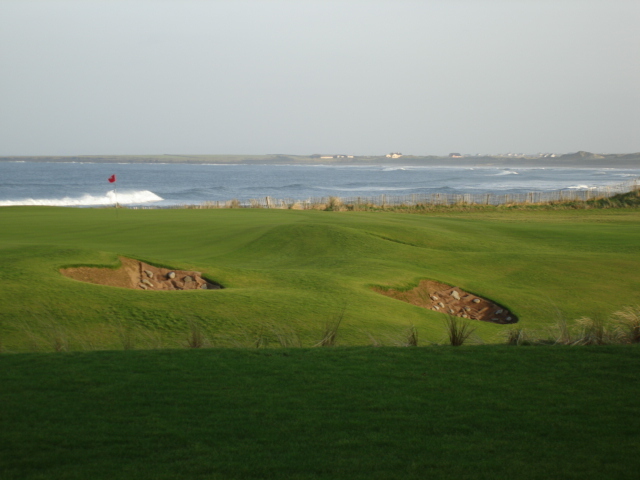 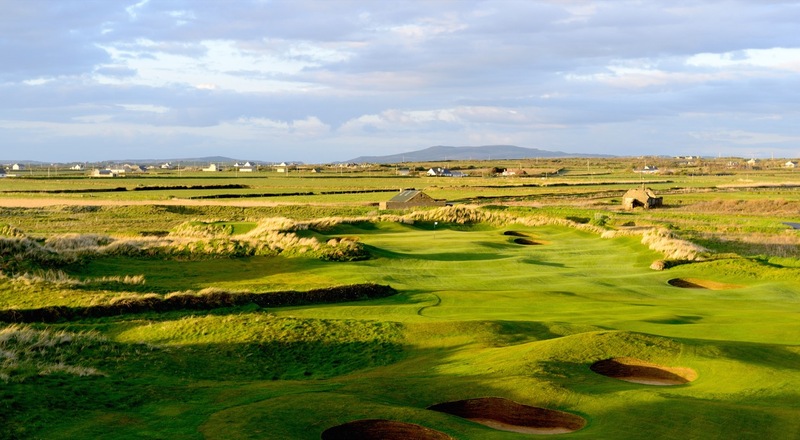 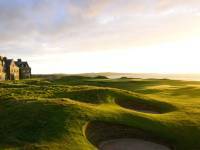 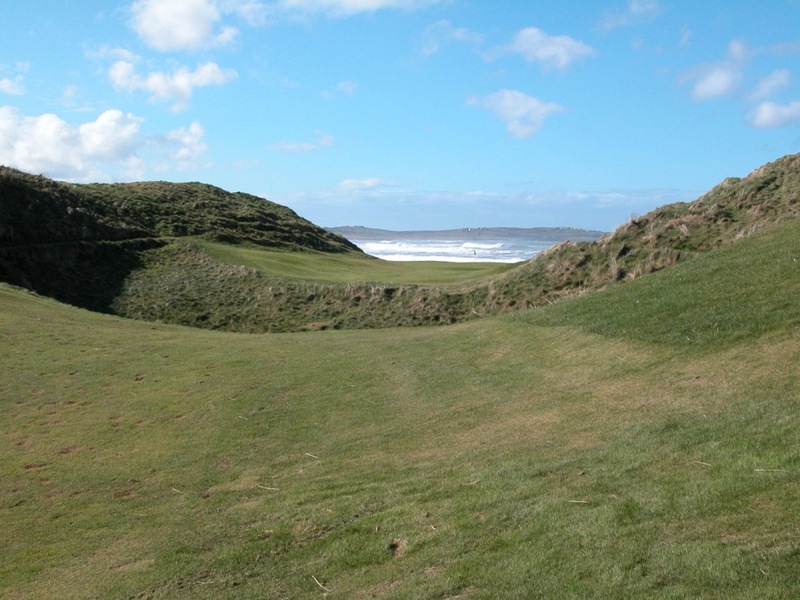 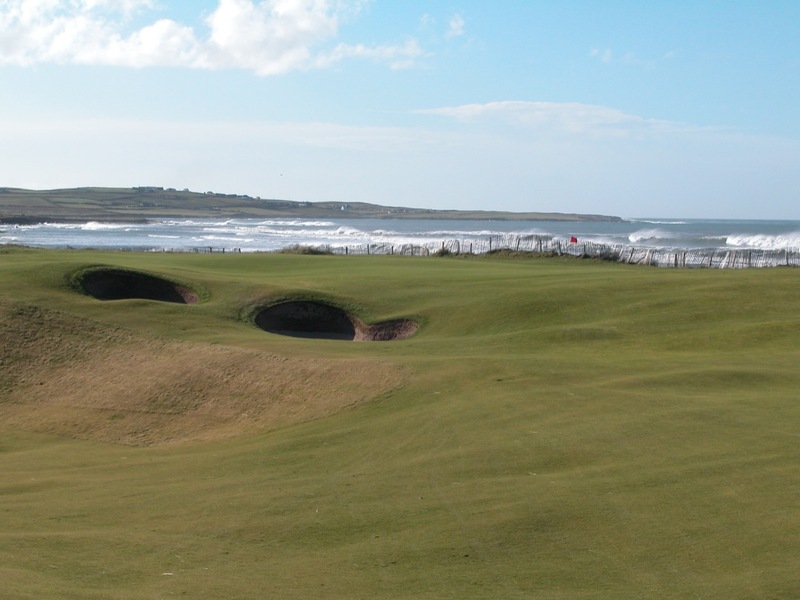 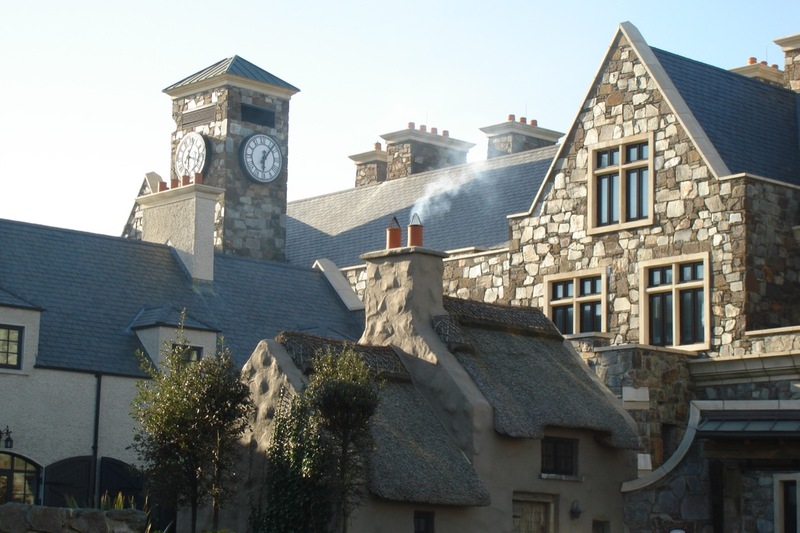 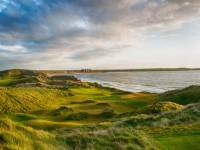 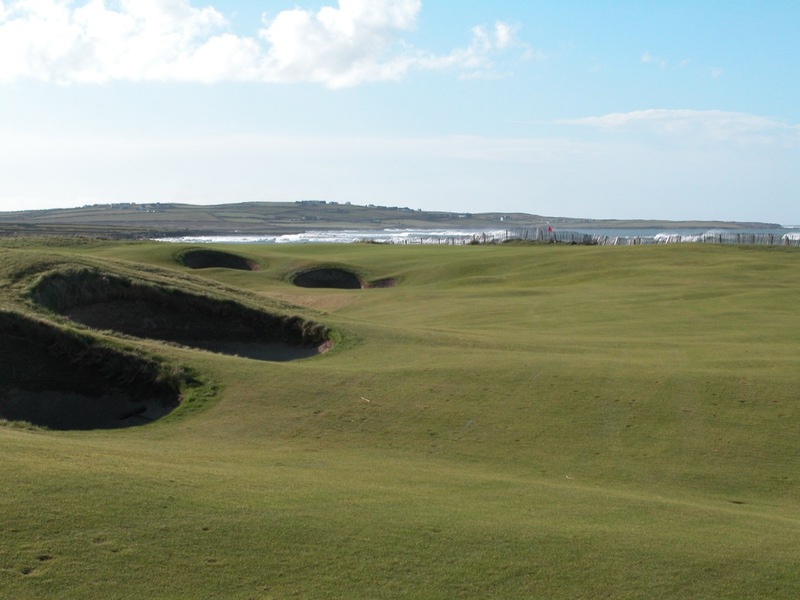 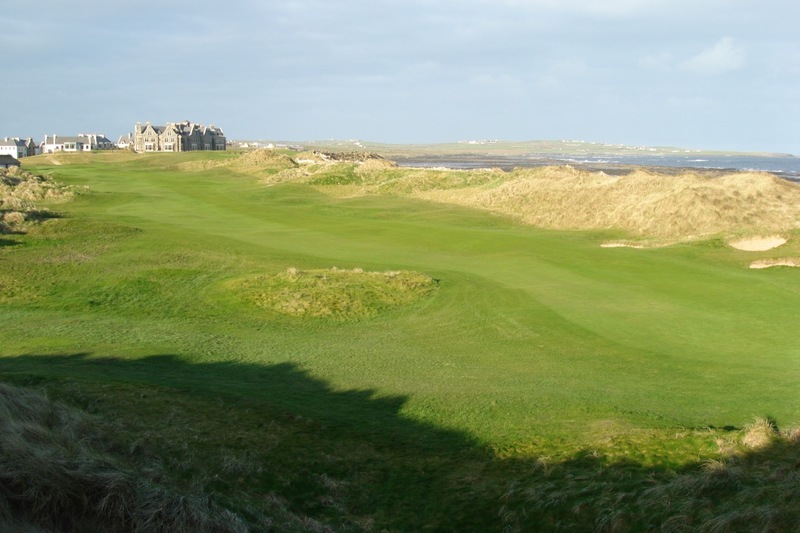 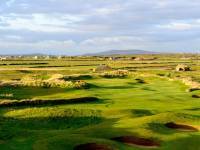 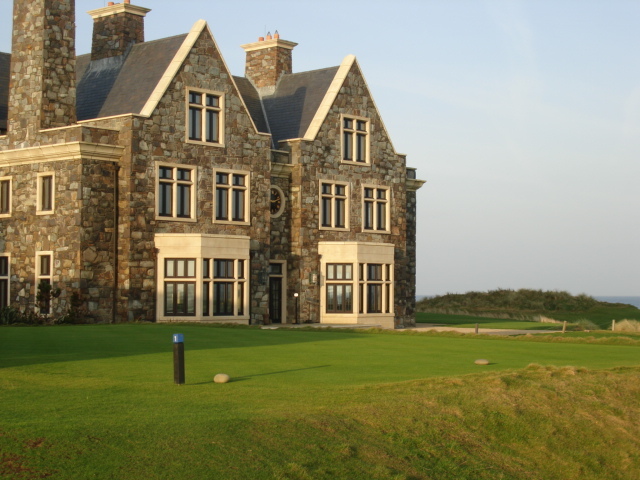 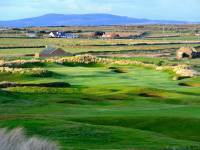 Years ago, the property was actually the first choice of the Black Watch regiment, founders of Lahinch Golf Club, but they chose Lahinch instead because of its proximity to the West Clare Railway. 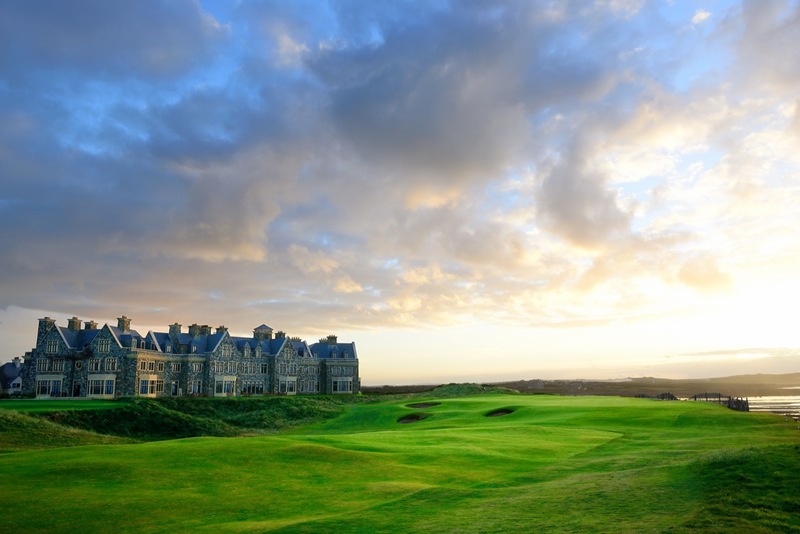 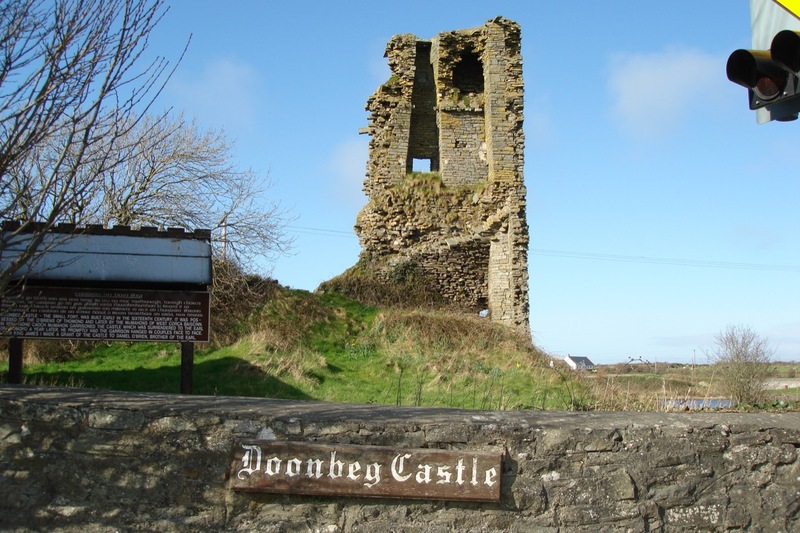 As they say at Doonbeg, their time was simply delayed for another 100 years. 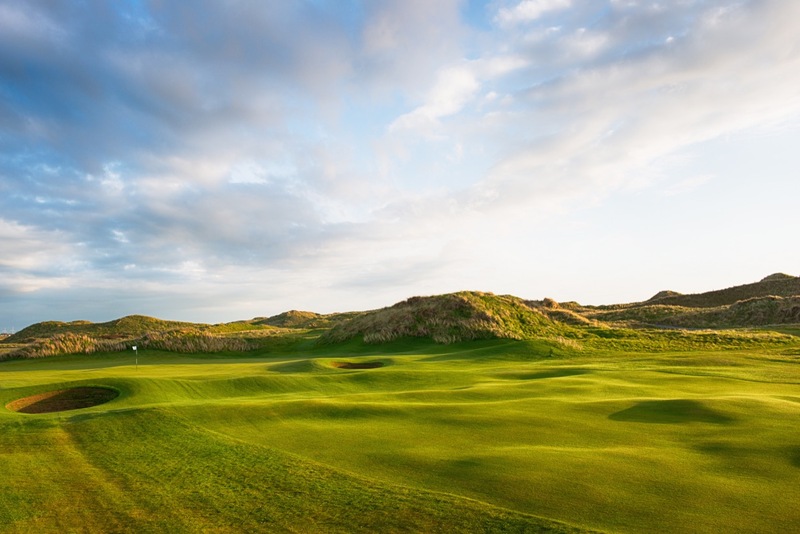 The links at Trump International Ireland does not disappoint, especially with architect Martin Hawtree’s mark now clearly stamped on the layout. 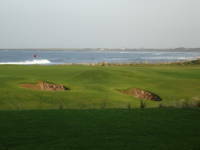 Having delivered an amazing and unforgettable links, he is justifiably proud of his work. 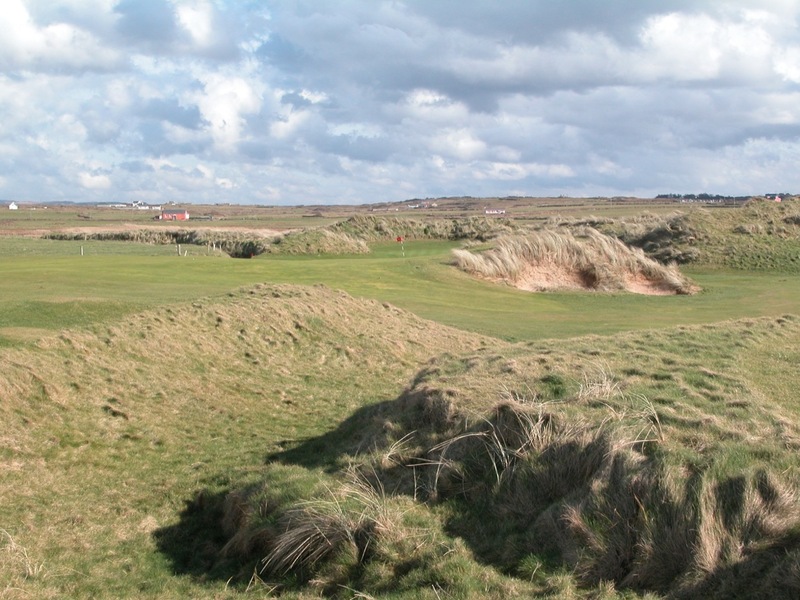 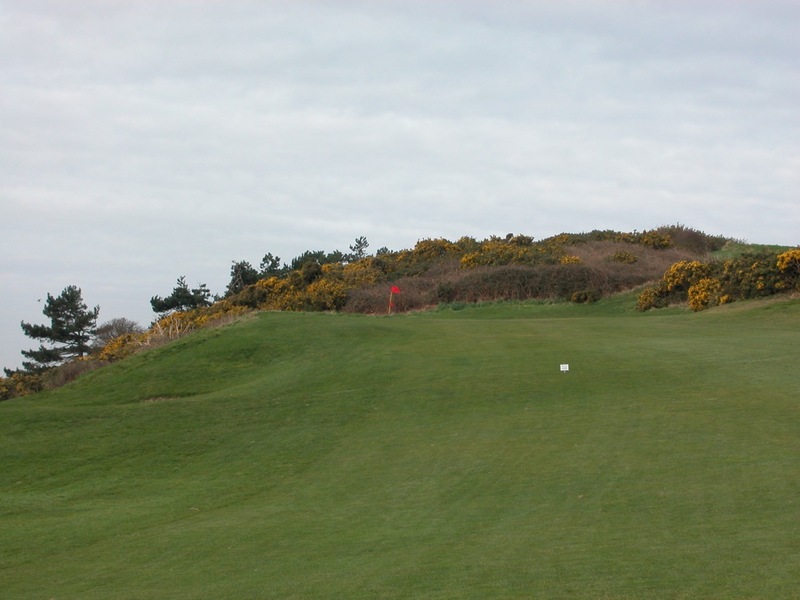 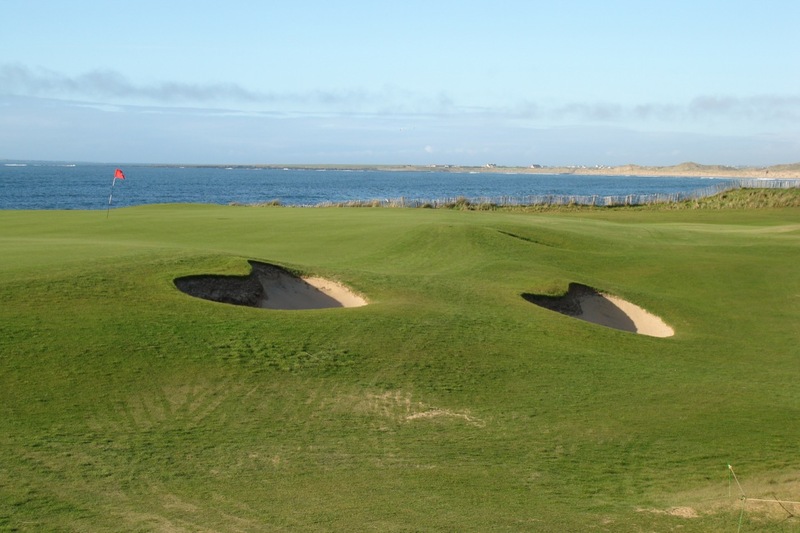 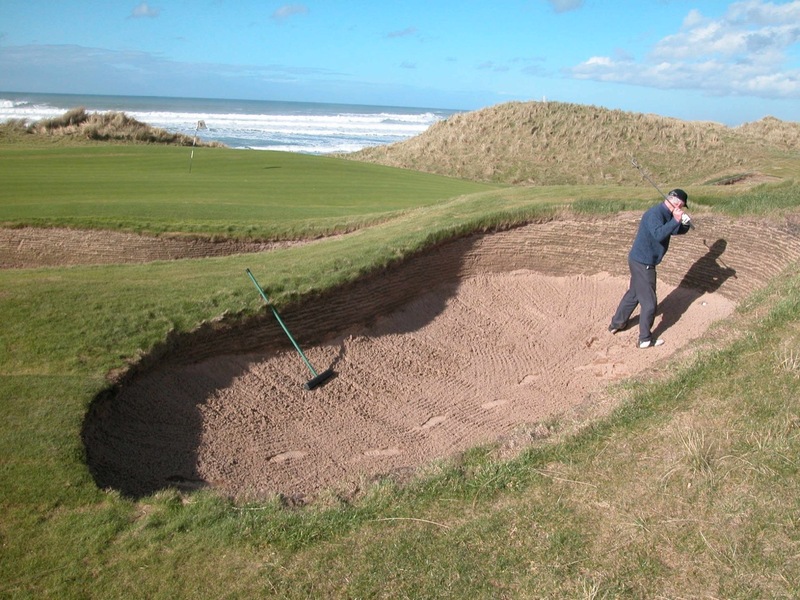 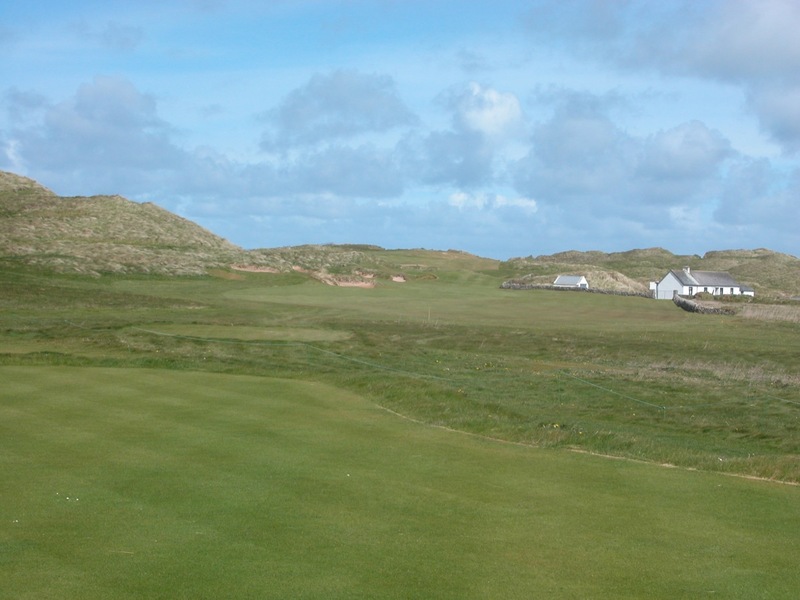 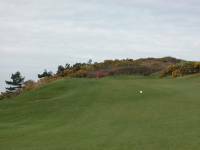 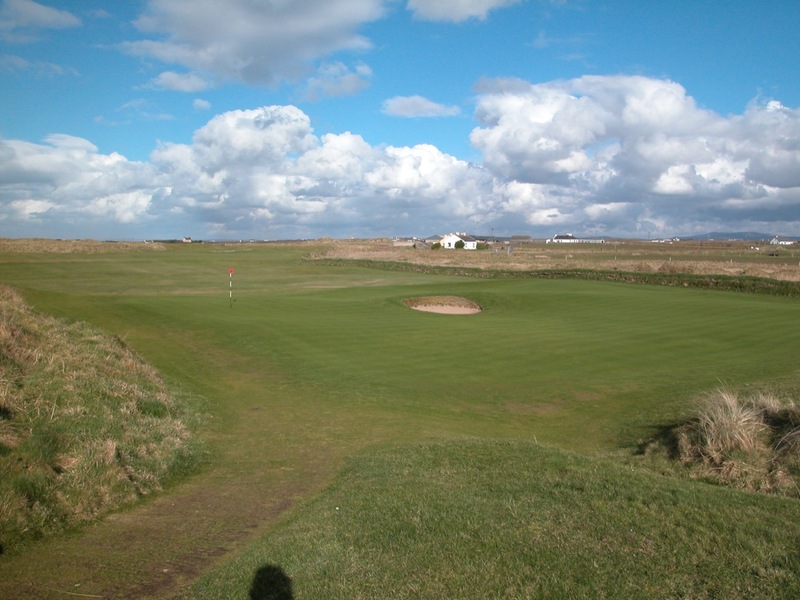 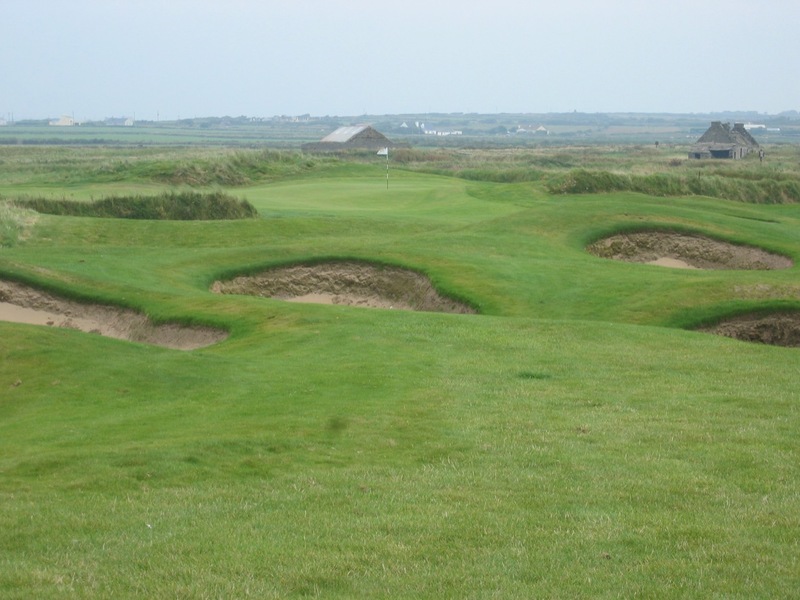 A very old-fashioned course that looks as if it’s been there forever, it includes shared fairways, holes crossing each other, greens located in massive natural amphitheaters, and bunkers looking like they were created by the local sheep seeking refuge from the gales. 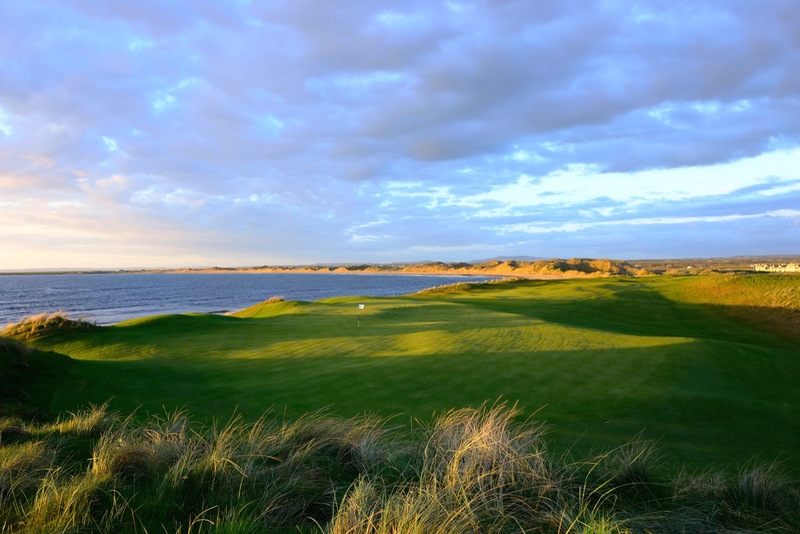 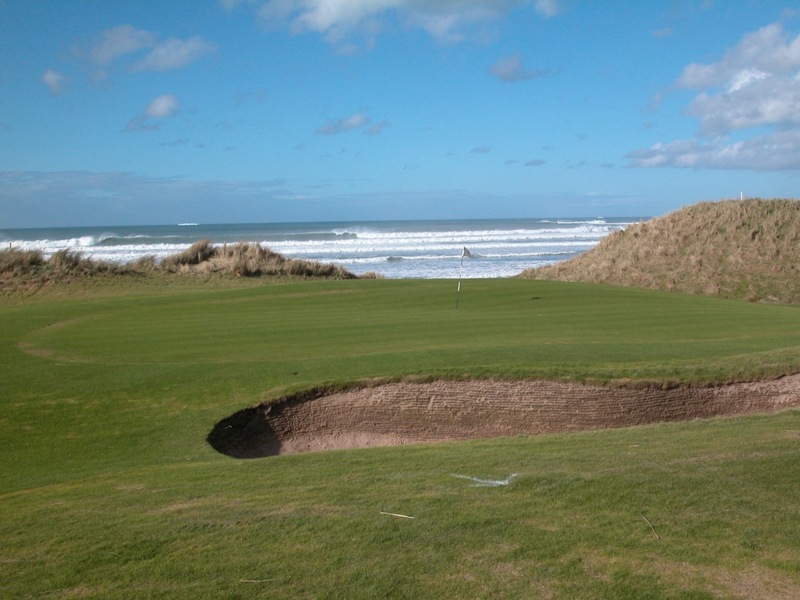 It is simply unforgettable, and the crescent beach and towering dunescape has achieved instant widespread recognition and fame in the golf world. 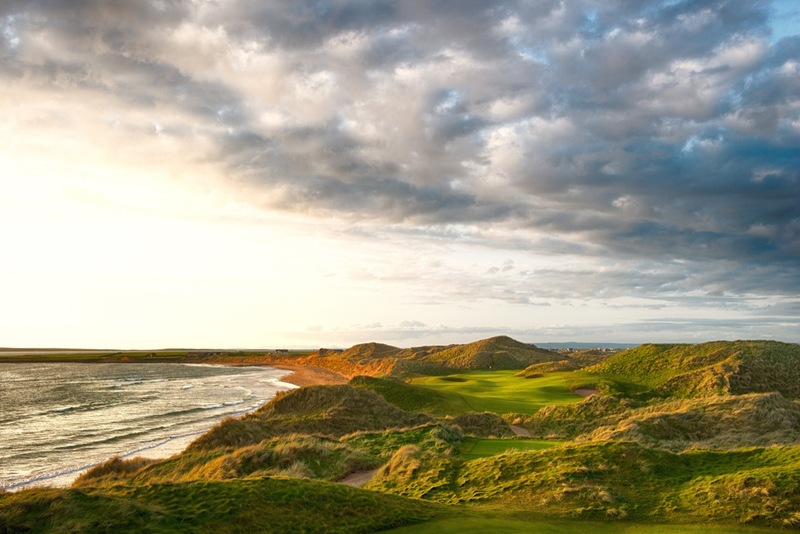 The 14th at Trump International Hotel & Golf Links at Doonbeg offers one of the great par-3 vistas in Ireland, looking back towards the incredible 5-star hotel with the waves crashing behind the green. 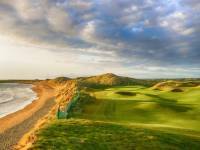 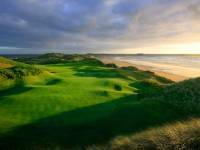 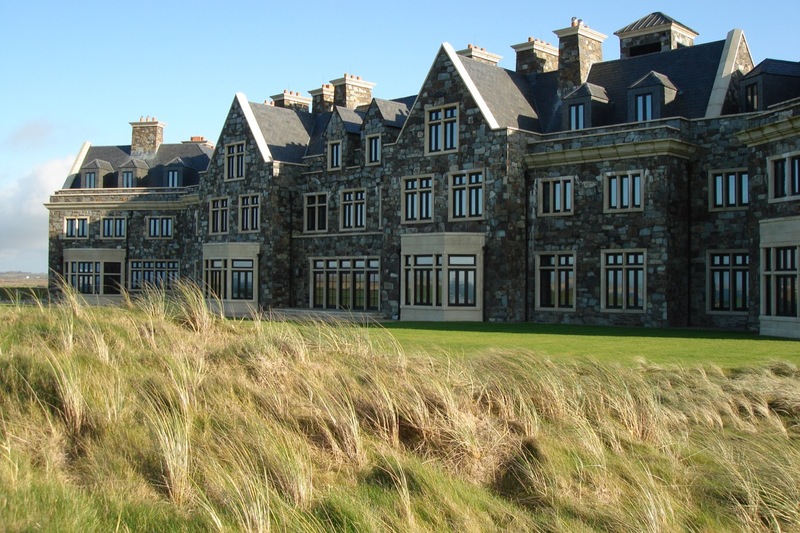 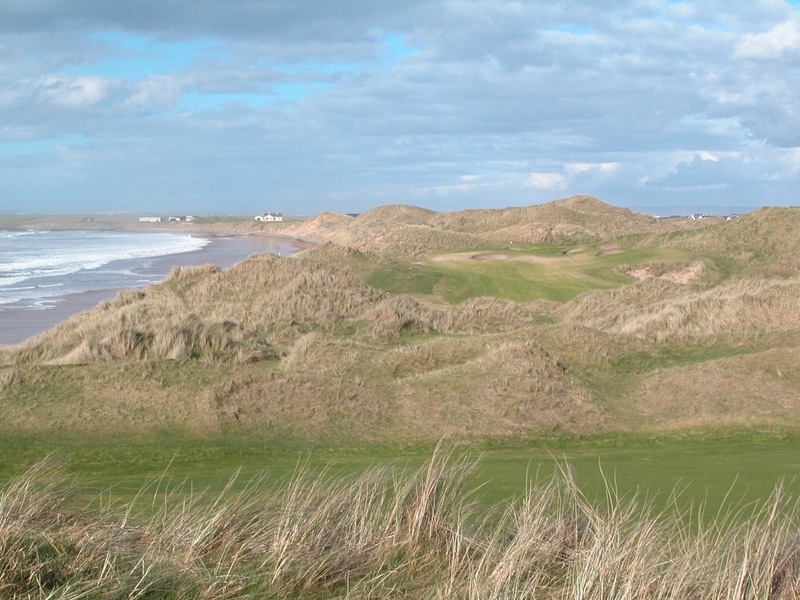 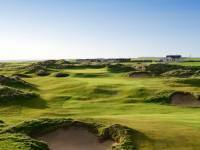 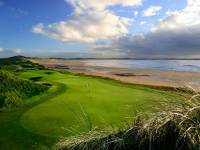 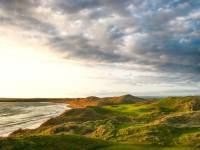 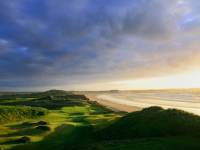 Convenient to Shannon Airport, a visit to Trump International Hotel and Golf Links at Doonbeg will be a highlight of any trip to Ireland!